Andrews McMeel Publishing, 9781449470906, 160pp. 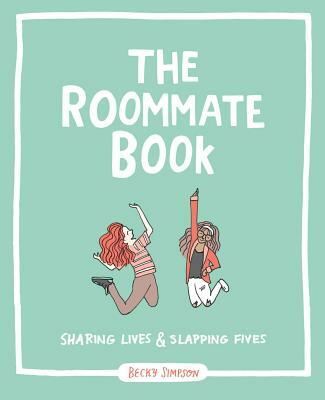 In The Roommate Book, which is filled with whimsical drawings and quizzes, author/illustrator and expert roommate Becky Simpson uses her optimism and sense of humor to highlight the advantages of having a roommate and how best to enjoy these shared years of modular furniture, crockpot meals, and binge-watching Netflix. For high school graduates going off to college and new adults leaving college, this book is essential. Becky Simpson is an illustrator and graphic designer based out of Austin, Texas. She grew up in small-town Iowa, honed her craft at Iowa State, then, like a bird, moved south. Becky has had 19 roommates and has liked every single one of them. Her first book, I’d Rather Be Short was published in 2013. She’ll high five if provoked, but don’t make her jump to reach it. Visit Becky online at www.beckymsimpson.com.